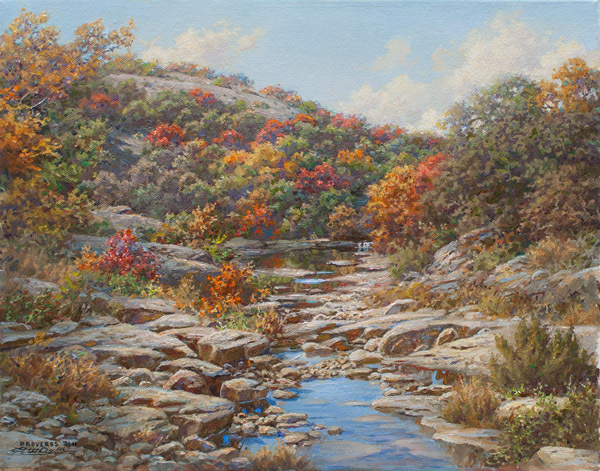 Larry Dyke is a master landscape painter. This extraordinary, miniature gem is one that highlights the artist's immense talent. Featuring such a stunning vista of the beautiful stream, this masterwork has all the Dyke hallmarks.